This photography is different from other kinds because it requires almost 1/20,000th of a second exposure time to freeze these moments. Most DSLR cameras don’t have such a high shutter speed, so how can you take these kinds of shots? In this article I will explain how to do high-speed photography. What camera and lens do you need? Let’s talk about the gear you need for high-speed photography first. Of course, you need a DSLR camera and the good news is that any DSLR will work. If you have any other camera that has manual controls, it will also work fine. Next is the lens and just like the camera, any will work. I use a 100mm macro lens for close-up shots like liquid sculptures and a 24-70mm zoom for balloon shots. The only lens requirement is that the focal length should be long enough so that you have sufficient distance between your camera and the subject, to keep your gear safe from colors and water splashes. I found that 100mm macro is the best lens as it has 1:1 magnification so you can fill the frame with your subject. Because of the 100mm focal length, your camera will also be far enough from the subject. Next, you need flashes and you need a lot of them. In some shots, I’ve even used four flashes together. The next requirement is a tripod because you need to do lots of work simultaneously, so it’s better that camera is fixed on the tripod. You also need a shutter release cable or remote to release the shutter. The most important requirement for this kind of photography is practice and lots of patience. Sometimes you’ll take hundreds of shots and none of them will be good, and you may think that it’s not your cup of tea. But don’t give up, as with practice and patience you can get desired results easily. When I was trying to take following water drop shot, it took me almost 3 months and over 3,000 shots to get my first accurate shot. Eventually, I discovered a trick that made everything easy for me. I’ll share that trick later in this article so keep reading. You may also need an assistant as you have to do lots of tasks all at the same time, and you can’t do everything on your own. Also, there will be a lot of mess after your shoot and it’s very boring to clean it up all alone. Last but not least, you need to find some creative hacks. For example, for “Dancing Colors” shots I made this setup using a soap dish, a plastic pipe, a black swim cap, some Velcro and fixed this in the air vent of the subwoofer of my computer speakers. Along those lines, one day I also discovered that it’s much easier to fire flashes instead of releasing the shutter to capture an accurate moment. So I used some wire and a push button switch to make a switch to fire the flash manually. Before we talk about camera settings, I am going to reveal a shocking truth. Are you ready for this? Okay, the reality is that camera shutter speed doesn’t matter in high-speed photography. In fact, in this image, my shutter speed was 1/10th of a second. What, have I lost my mind? I just wrote that you need 1/20,000th of a second to freeze the moment and now I am saying that shutter speed doesn’t matter. Relax, I’ll explain everything. In such photography, we usually shoot in a dark room with a narrow aperture and using bulb mode. We open the shutter and fire the flash at the right time to expose the image. So, regardless of whether the camera shutter speed is 1/10th or 1/250th, the exposure time is only when the flashes fire (for the duration of the flash). Flashes with the lowest power setting possible. Why do you need to use your flashes on the lowest power setting? Because that will give you the shortest flash duration. If you fire a flash on full power the flash duration is around 1/1,000th of a second. But at 1/128th power, it comes down to almost 1/35,000th of a second, which will freeze the subject completely. Set your camera on a tripod with a shutter release cable. Set the lowest possible ISO, go for 100 and increase it only if you don’t have enough flash power. Then, set the aperture between f/11-f/16, focus manually, and leave the camera. Now you need to train someone to press the shutter release button on your mark and release it as soon as the flash has been fired. Your job is to do the action using one hand (like bursting the balloon, playing the beats or releasing the water drop) and fire the flashes using a switch at the perfect moment. You’ll need some practice but eventually, you will do it accurately. Shoot in dark room: You should always shoot in a dark room as you are using bulb mode and sometimes your shutter speed will come down to 1/10th or 1/5th. So, if the light in the room is bright, it’ll affect the shot. The room should only have a small (low) light source so that you can see everything. 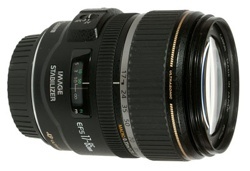 Small Aperture: Always shoot between f/11 – f/16 so you can get deep depth of field and everything comes into focus. Also, with a narrow aperture, the ambient light won’t affect the shot as much. Manually Focus: Manual focus is a must as a camera can’t focus in the dark and you may miss the action if the camera keeps attempting to focus. Flashes: Use the lowest power and slave mode on your flashes so you don’t need to attach all the flashes using wires. With slave mode, you need to fire only one master flash and the others will fire automatically. Now sit back and relax, because I am going to reveal a super easy way that you can shoot high-speed photography and get such pictures without much effort. Your chances of getting an accurate shot will increase tenfold. Are you ready? The secret is to use burst mode on your camera. Set your camera to high-speed burst mode. You also need to change the camera mode to manual and the shutter speed to 1/125. Plus, you need to attach your master flash to the camera so that it’ll fire with the camera simultaneously. Now when you press shutter release button, the camera will start taking photos and keep clicking until you release the button. Depending on your camera model, it will click between four to 10 shots per second. With one hand, press the shutter release button and with your other hand do the action. Once the action is finished, release the button. By using this trick, you can get your first perfect shot in just 5-6 trials. High-speed photography is a lot of fun. It can be tricky to get right. But don’t give up, keep trying until you get the desired results and share your photos in the comments below.